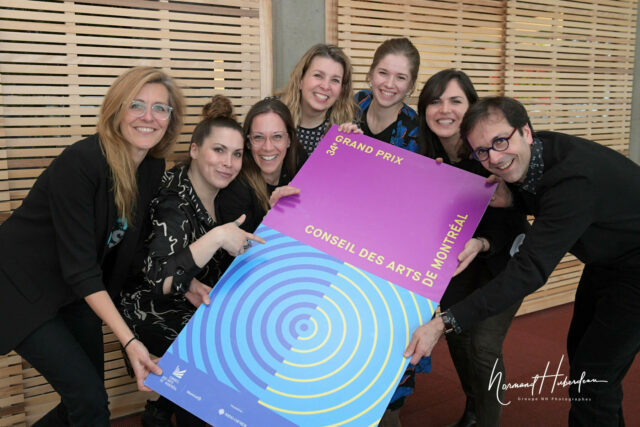 MU is honored to have been awarded Winner of the 34th Grand Prix du Conseil des Arts de Montréal during an official ceremony held March 21, 2019. This important award recognizes MU’s model of social inclusion as well as the quality and diversity of its murals, with a particular mention for those produced in dedication to Alanis Obomsawin and Daisy Peterson Sweeney, notable figures in the cultural community. This recognition further reaffirms the importance of Art within the public space, as well as the value of urban art as a vehicle for social change. This is MU’s most important distinction to date, the Grand Prix du Conseil des Arts de Montréal being one of Montreal’s major awards celebrating the city’s artistic vitality since 1985.